fantasy art and tree chatter of aquariann: Treasury Tuesday: What a Sunny Day! Treasury Tuesday: What a Sunny Day! The weather yesterday was so radiant and warm - I almost forgot it was November, until the sky went dark before 5pm. *shakes talons at Daylight Saving Time* Hayley of Hayley's Paper Love captured a sunny yellow day of her own. A spa gift set, a robot wall calendar and my steampunk unicorn warrior to guard your fridge are just a few of the handmade items that could brighten your life. Does Christmas have to be red and green? Thanks for the link up! This is such a great time of year for treasuries with the holidays around the corner. What great thing you do here!! A true treasure giving off a warm glow! PS - I grabbed the button too! 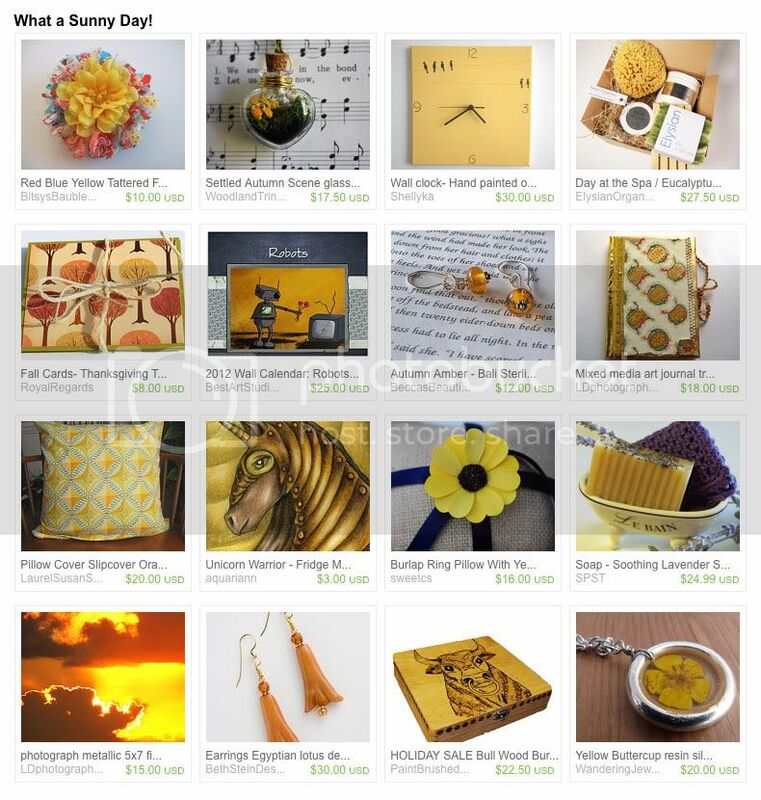 Love the yellow Treasury, cheerful but seasonal. Thanks for showing your readers my Treasury!